A fillet knife boasts many surprising uses in the kitchen. It is a valuable must-have for outdoor enthusiasts, fish lovers, and every home cook. No kitchen is complete without the requisite tools. Of these, a high-quality fillet knife is one of the most important items to have at hand. Despite its stellar performance with its intended use, it isn't just limited to filleting and preparing fish. Think fast and light. A fillet knife is so sharp and thin, it cuts deftly where a larger, heavier knife might be cumbersome. Its flexibility allows for absolute cutting precision. A fillet knife blade is usually stainless steel and might range from six to eleven inches in length. An eight-inch blade offers the most versatility. A fillet knife can remove fish scales efficiently. You can also use it to trim fat and the webbing of the silver skin from small game and game birds like rabbit or quail, where a more delicate approach is necessary. The long, sharp blade is an excellent choice for this task. Pith belongs in witty banter and not in our fruit. With an easy slice, a fillet knife removes the pith, rind, and membrane from citrus fruit like lemons, oranges, and grapefruit. You're left with a delicious bite without the bitterness. Whether you are slicing the membrane from a pepper or peeling the tough skin of an avocado, a fillet knife makes quick work of preparing fruits and vegetables. Slicing any fruit with a thin skin, like a tomato, is much more efficient. Try using a fillet knife next time you peel a mango. It is a notoriously challenging task, which can damage the tender fruit and leave a pile of pulp. A fillet knife is also useful for cutting corn from the cob and peeling knobby or irregular vegetables, such as potatoes, beets, and even jicama. Nothing, not even your trusty spoon, works better to remove the seeds and stringy membranes from squash. I know what you're asking: What the hell is a rosette? 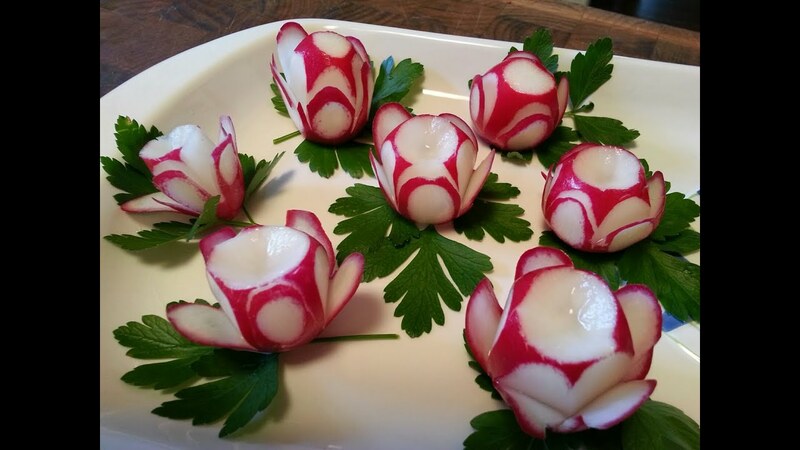 Should you ever find yourself hosting a dinner for genteel company and wish to serve a salad with garnish, use your trusty fillet knife to carve decorative carrot and radish rosettes. They will prove to be conversation starters.